What if I told you that almost everything you’ve learned about passive income models isn’t true? And what if I were to show you why and how to fix it? 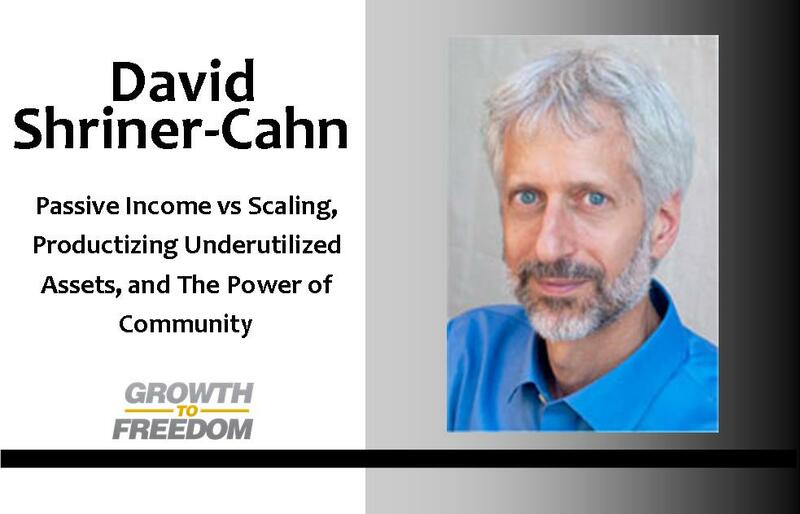 On today’s show my guest, David Shriner-Cahn shares the observations around passive income models and why they may not be everything they’re cracked up to be. He lays out the key pieces most people overlook – including the role sales, marketing, and fulfillment play in the model – and why many entrepreneurs aren’t equipped to grow profitably. Passive income may be a myth – and may not be everything you’ve been led to believe. Find out what you can do to turn the tide in your favor and learn how scaling may be more important for your growth model. http://www.AccessToAnyonePodcast.com/23 and http://www.AccessToAnyonePodcast.com/22 – Dan’s episodes on the show.